It is the division of the Kopron Group that deals with after-sales assistance with maintenance contracts and management of original spare parts for warehouses and covers, metal structures, doors and main doors, loading and unloading systems of goods. “Guaranteeing our Customers throughout the years the highest possible level of safety and operation of the products that are always compliant with the strictest international norms with the very best quality-price ratio possible”. You will be contacted within 24 hours by one of our specialist operator ! 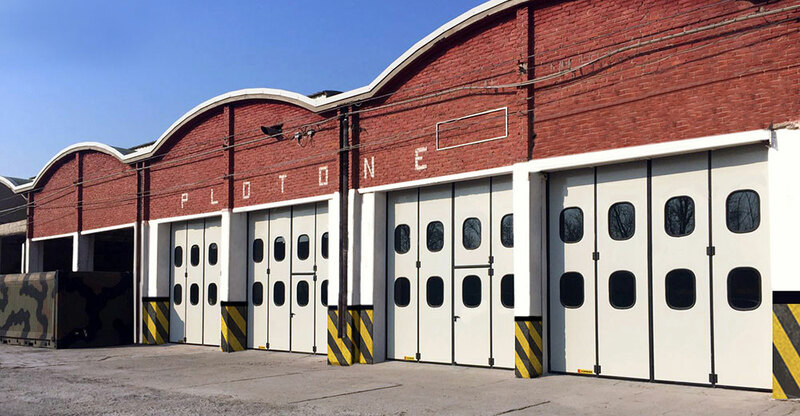 Kopron for Ministry of Defence: New folding doors to optimize logistics.